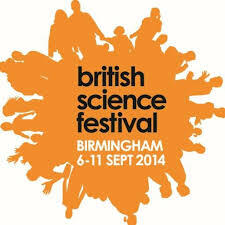 As part of British Science Festival 2014, this event will showcase research and innovation in the theme of smarter and greener cities. The need for cities to work smarter and in more environmentally efficient ways is essential to ensure the wellbeing of citizens, and to help businesses reduce their impact on global warming. Jointly hosted by Birmingham City University, Aston University, Millennium Point and the Smart City Alliance, Birmingham: The Smarter, Greener Science City will include an exhibition, site tours and a series of lectures throughout the day. Our keynote speaker is Dr Rick Robinson, Executive Architect of Smarter Cities, IBM. Each working group is chaired by a lead representative from the Smart City Commission who is responsible for progressing the Smart City principles alongside the needs of the sector / area and its membership focused on practical actions that deliver real outcomes. We are holding a meeting at the end of September to bring together the leads above with the Chair of the Commission (Cllr. Lisa Trickett – Cabinet Member – Green, Smart and Sustainable City) to agree the framework and collective vision that will ensure an integrated approach across the themed areas. 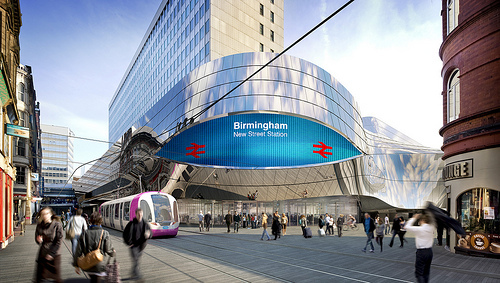 Can Birmingham become a global leader of new transport technologies? The event, organised by Innovation Birmingham and Transport Systems Catapult brought together speakers from a start-up, major IT company and the public sector, to try and establish whether Birmingham had the potential to become a global leader in new transport technologies. Over the course of the afternoon, there were several strands of thought on the link between the institutions and characteristics of Birmingham and the wider West Midlands region and its suitability as a ‘living lab’ for new transport technologies. 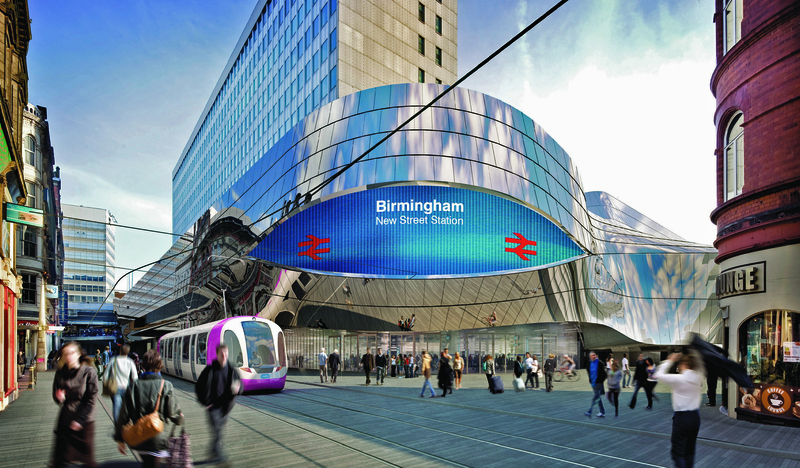 Birmingham sits at the heart of England, giving it a geographical advantage as a transport hub – and by extension, a logical location to develop a smart, low carbon transport system. Chair of the Greater Birmingham and Solihull Local Enterprise Partnership (GBSLEP) Andy Street highlighted how this could feed into the city region’s ambitions for the HS2 project: not to be “the end of the line”, but the centre. This was not solely about location, but also a challenge to make Birmingham the home of the associated engineering and technological support, research and development that accompanies such a key infrastructure project. An associated point to location is size: Birmingham is a large city, the largest local authority in Europe: solutions that work here will be applicable to other large conurbations. 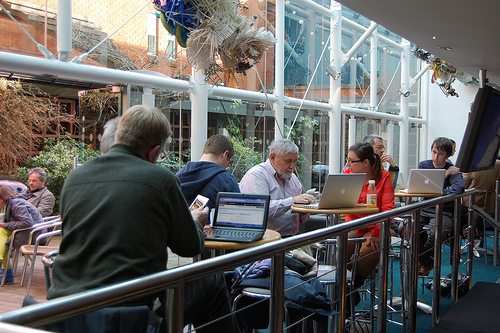 And as Paul Zanelli, Chief Technology Officer for the Transport Systems Catapult noted, these solutions are as much about identifying what you no longer need to travel for – for example, if high speed internet is regionally available, homeworking (or working in other spaces closer to home) becomes more viable. Some of the top policy and decision-makers for Birmingham’s public services will be getting together in the city on 26 June to launch Making a Difference with Data – a new programme about the role of data in creating social and economic wellbeing. The Making a Difference with Data programme is being developed and run by Birmingham-based Boilerhouse Media in collaboration with England’s core cities and is being supported by Digital Birmingham as part of Birmingham’s Smart City Roadmap. I welcome the Making a Difference with Data programme with its emphasis on communicating the benefits of using data and open data for better decision-making. There needs to be much greater awareness among leaders locally and nationally about the volume and value of data they can access to inform everything they are doing to improve cities, regions and neighbourhoods. This programme will help make that happen. The launch is an invitation-only event bringing the city’s leaders in health, social care, housing, economic development and policing, together with representatives from transport, education and the third sector. Birmingham Community Healthcare Trust will be fielding one of their top team to speak, and there will also be presentations on the data programmes at Manchester, Sheffield, and Leeds. Further information can be found at http://www.madwdata.org.uk and also via @madwdata and the #smartbrum hashtag. Birmingham is acknowledged for its industrial heritage and as a powerhouse of the industrial revolution that was borne out of a dynamic spirit of entrepreneurial collaboration with strong civic leadership to provide for its citizens. society). With these challenges comes the momentum and exciting opportunity to redefine our city that will secure our sustainability and prosperity for decades to come. enabling a culture of innovation and collaboration. Birmingham has started its journey towards addressing many of these challenges, and is putting in place the governance, infrastructure and enabling activities to establish Birmingham as a leading smart city. to drive innovation and accelerate transformational change within the City. Under the leadership of Councillor McKay, Cabinet Member for Green, Safe and Smart City, we published the Smart City Vision setting out the challenges and the strategic and collaborative approaches the City will take in order to enable Birmingham to stand out as a truly smart city, one that meets its future needs. A task and finish group was put in place to further develop the vision into a roadmap and action plan. It was recognised that the Commission going forward must demonstrate strong leadership, be outward looking, bring together expertise and strategic thinkers from key fields to direct and deliver the longer term strategic vision for the city. 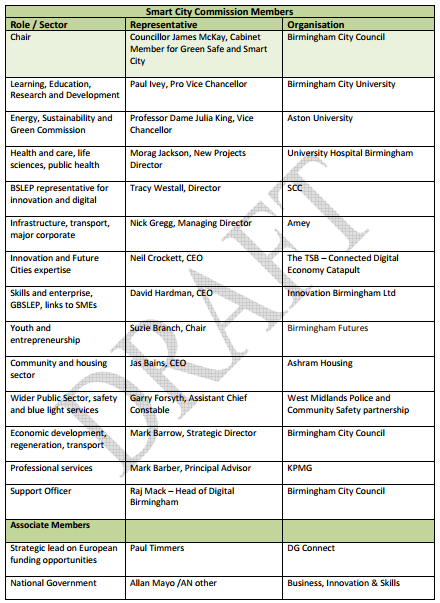 2012, which created the below vision that was published in January 2013 and the full document can be downloaded from the Digital Birmingham website. 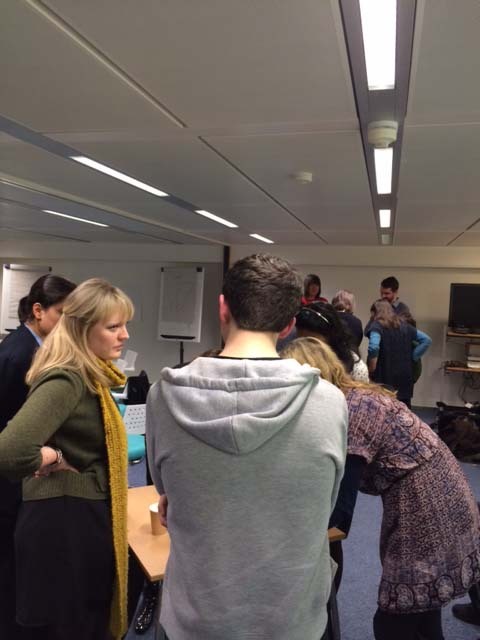 Many of these advisory bodies have already produced their own actions plans for and it is clear that there are considerable overlaps in the organisations that need to work together, the technologies and the resources required to deliver the outcomes. The Smart City Commission now has the opportunity to play a central role in bringing together these agendas to maximise their potential. The Smart City Vision sets out the challenges and opportunities for the city and the wider region. Working collaboratively with industry, business, community and academic leaders the Smart City task and finish group has developed the roadmap and action plan to implement the vision. of life for its citizens. The Roadmap is a statement of our aspiration to change the city as much as it documents specific actions that we have identified for the short term; it is meant to be a living document that needs to be reviewed and adapted on a regular basis. This will allow us to continually embrace new opportunities as they emerge. It is important to note that the speed of change in the technology sector is considerable making it difficult to develop detailed plans beyond a 3-year horizon. However, where activities relate to infrastructure, organisational or behavioural change they may well span a 5-10 year outlook. approach that will set the wheels in motion for its delivery. number of external experts are included to ensure that the City benefits from the latest developments and opportunities. In addition to the Birmingham Smart City Commission a wider stakeholder group (both internal to BCC and external) will be sought to ensure wider challenge and peer review around the city’s vision and priorities. 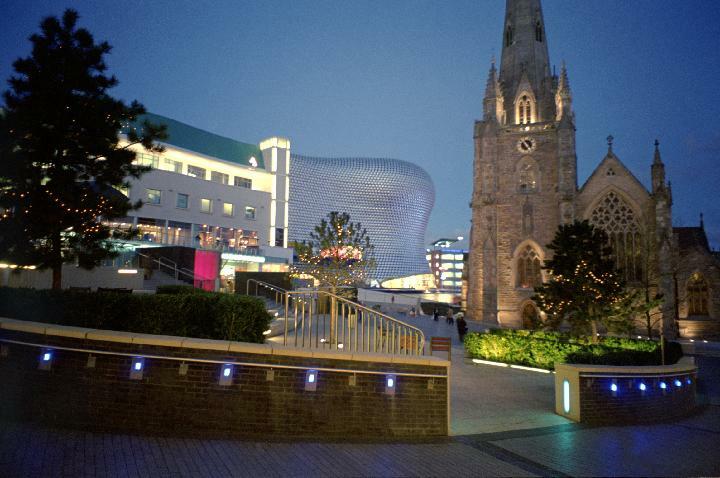 Smart payments – the way of the future for transport in Birmingham. The Birmingham Mobility Action Plan already outlines the vision for a fully integrated public transport network, where a ‘whole of journey’ pricing and payment mechanism based on travel zones will be available. At its best such a system will allow travellers to use any mode of transport (train, bus, bicycle or car hire) and will include contactless payment card linked to a personal travel account and through debit or credit cards, mobile phone applications. Traditional payment such as smart card and season passes will still be on offer. Transport for London’s extension of the Oyster card demonstrates the ease of moving from tube to bus. Since end of 2012 travellers can use the contactless payment card linked to MasterCard, Visa and American Express instead of an Oyster card to pay for bus fares and get the cheaper Oyster tariff.